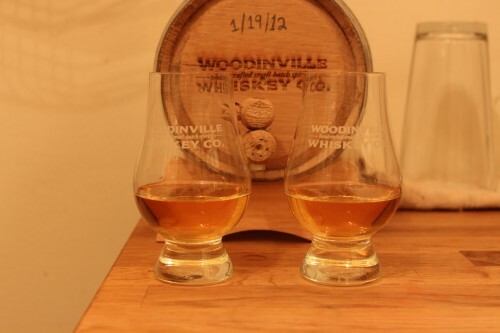 Anyways, we poured ourselves a couple shots from the barrel-womb and were immediately smacked in the face by oak smell. “Smells like barrel,” I said to Christian. From its clear beginnings, the whiskey’s tanned to a less-embarrassing golden-auburn color. The initial taste was bright and oaky and the finish warm, rich, and almost nutty. The middle was…whateves. All things considered, a thrilling preview of what’s to come.